Fifteen years ago on Sept. 11, terror struck America. 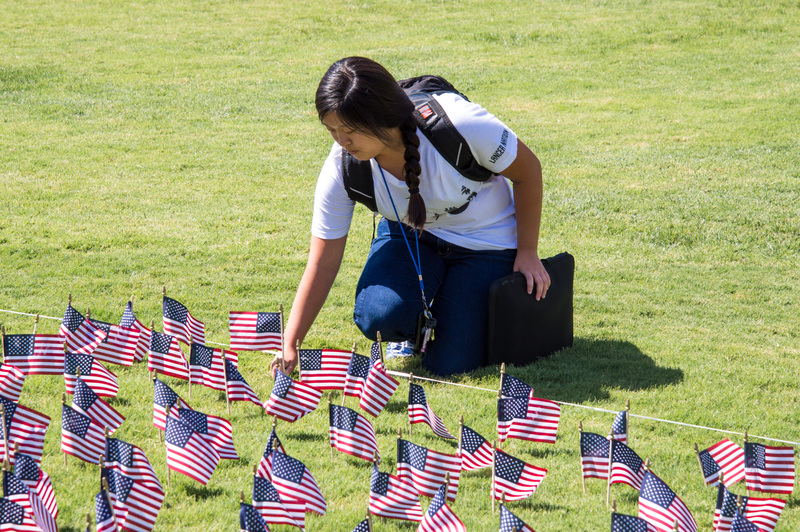 Today, California Baptist University paid tribute to those who died in the attack. 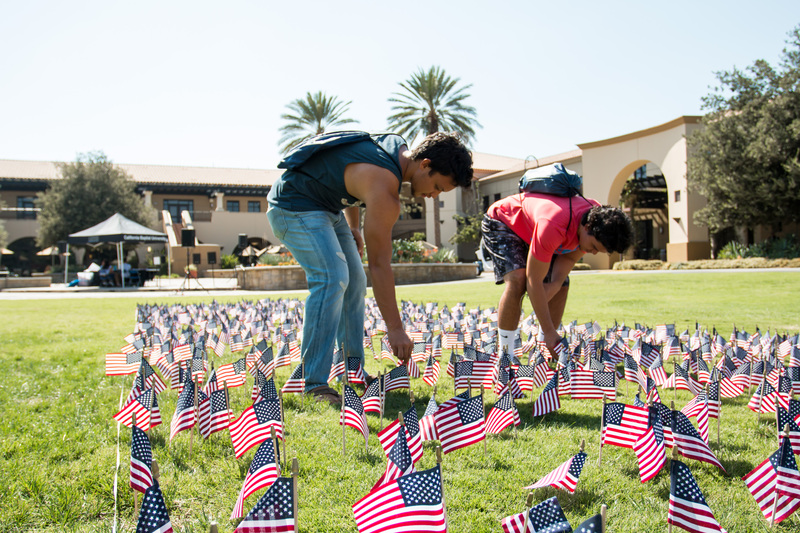 CBU first hosted the 9/11 tribute, “We Remember,” during the fall of 2014 by the Associated Students of California Baptist University. This event allows participants to reflect and pray for those affected by the terrorist attacks by setting flags in Stamps Courtyard in the shape of a cross. Each flag represents one of the 2,996 lives taken by terrorists on Sept. 11. The event is especially meaningful to the military veterans at CBU. Oscar Valdez, graduate student of counseling psychology and president of the Student Veteran Association, said he remembers seeing the attack on the Twin Towers in high school. Valdez said this event was what inspired him to join the U.S. Marine Corps and spend five years in service. Craig Tamanaha, senior criminal justice major and the Student Veteran Association’s veteran activity liaison, said he remembers seeing the footage of the terrorist attacks on 9/11. “I wanted to fight and defend my country right then and there even though I was a sophomore in high school,” Tamanaha said. After serving in the military from 2009 to 2014, he now says he plans to continue to serve his country on American soil. “I’m going to try to get into law enforcement, so again I’m wanting to serve my country in a different way,” Tamanaha said. The “We Remember” tribute gives the CBU community an opportunity to join together to remember the tragic 9/11 event and pray for the family and friends of those who lost their lives that day, and to pray for the country. “Seeing all the students gather around as a community to pay their respects and pray for those who were involved is so heart-wrenching,” said Emily Vierra, sophomore nursing major and sophomore ASCBU representative.